Mix all. Make at least 1 hour ahead, or up to 6 hours, so flavors can combine. Heat oil 1” deep in large skillet to medium-high. Fry tortilla wedges in batches so pan is not crowded with more than one layer. If chips are getting too brown before bubbling stops, turn heat down. 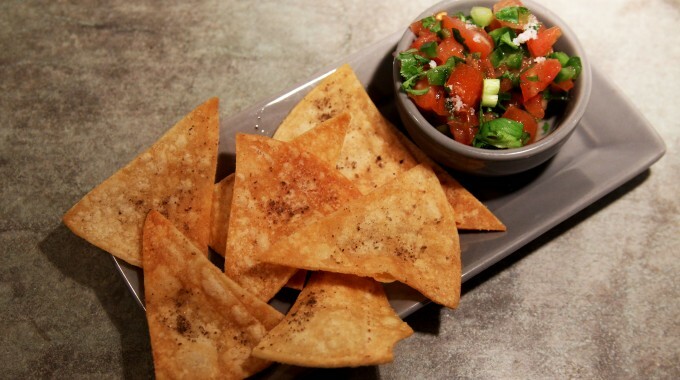 Chips are done when almost all bubbling stops, meaning all moisture is evaporated and chips will be crisp. Remove with slotted spoon to paper toweling to drain. 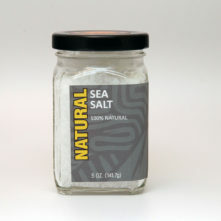 Immediately sprinkle liberally with natural Hawaiian Volcano Sea Salt.